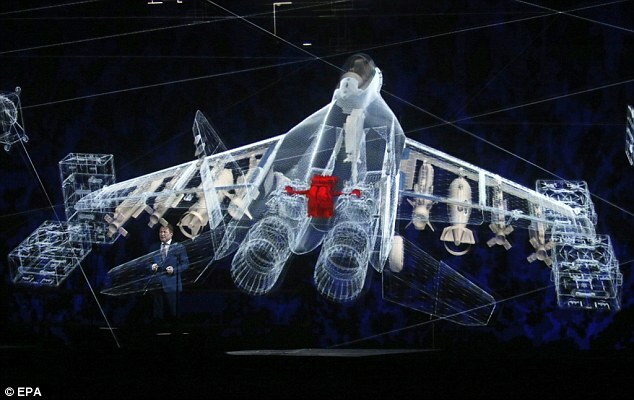 At the Moscow MAKS airshow in 2001, RSK MiG unveiled a demonstrator with vectored-thrust nozzles. 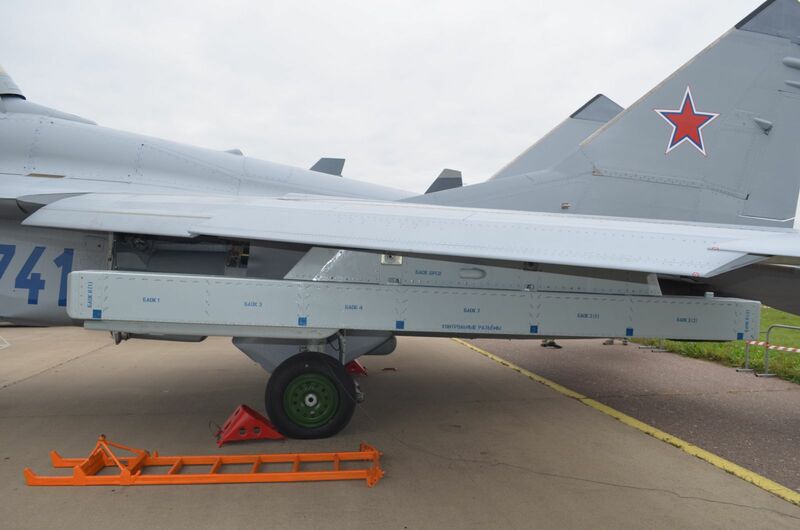 This aircraft, a modification of the sixth MiG-29M prototype, is designated the MiG-29OVT (Otklanyayemi Vektor Tyagi / Deflected Thrust Vector)”, and its RD-33 engines are to fitted with Klimov-designed nozzles that can rotate up to 15 degrees in any direction. It also has wingtip launch rails for short-range AAMs. Compared to the MiG-29 the MiG-29 OVT has increased range of more than 2,100 kilometres, improved avionics, vast improvements in weapon systems, HOTAS systems, wide range of weapons of air to air and air to ground, as well as a variety of defensive and offensive avionics suite. The engines have been moved backwards to make more room for fuel in the fuselage. 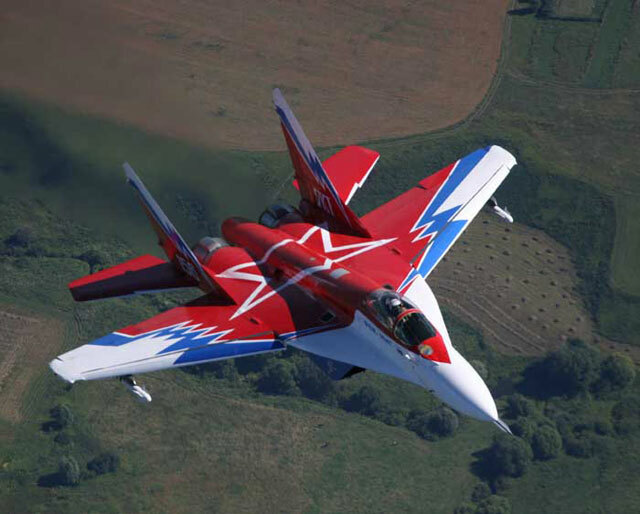 The MiG-29 OVT, is powered by a newly developed engine that offers an advanced level of manoeuvrability. The new engine’s secret lies in the design of the nozzles at the back of the plane, which move in all directions, allowing advanced steering capability. 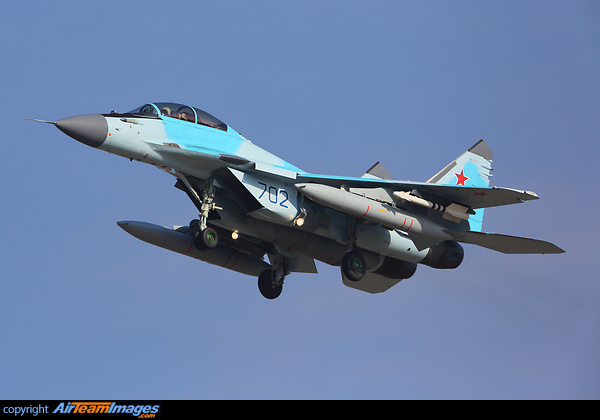 The MiG-29 OVT is the latest version of the MiG-29 jet, which has been on the market for several years. 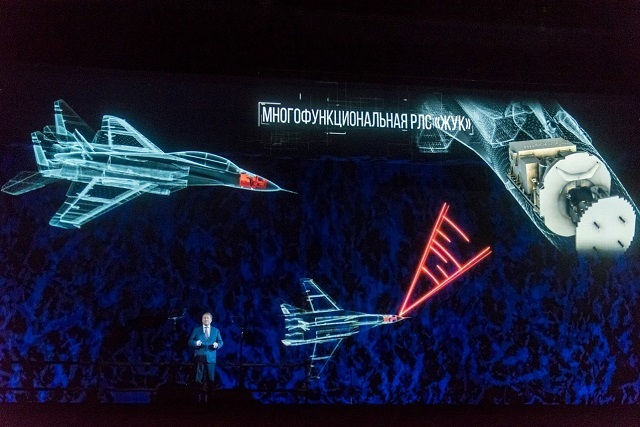 The “all-axis nozzles dramatically increase manoeuvrability, especially at low and zero speed,” Vladimir Barkovsky, chief of MiG’s design bureau told reporters. The demonstration of the new engine, known as the RD 33, was the culmination of several years’ work. MiG started work on developing a new all-axis nozzle in the late 1990s, Barkovsky said. To date, MiG has invested several million dollars in its development. The defensive system equipment consists of radar reconnaissance, electronic countermeasures, and optical systems – notably the laser emission detector on each wingtip – which are able to detect and evaluate the approaching danger and operate decoy dispensers to counteract the approaching threat in the radar and infrared ranges. 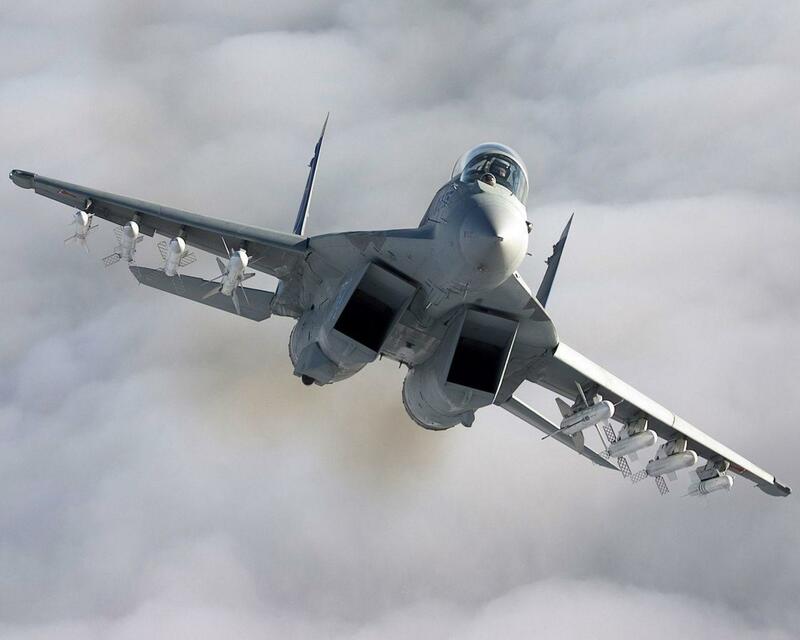 Russia’s Aerospace Force will start receiving the Mikoyan MiG-35 (NATO reporting name: Fulcrum-F) fighter jet in 2018 after the plane undergoes trials in 2017, Warplane Development Program Director at Russia’s United Aircraft-Manufacturing Corporation Vladimir Mikhailov told TASS. Russia’s United Aircraft Corporation (UAC) is on course to complete flight trials of its latest MiG-35 ‘Fulcrum-F’ combat aircraft at the turn of the new year, ahead of the launch of serial production in 2018, a senior company representative told Jane’s on 24 June. 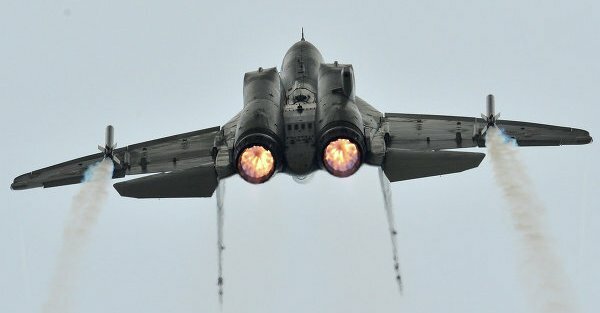 The MiG Russian Aircraft Corporation will begin mass production of the MiG-35 4++ generation multirole fighter in the next two years following the end of tests, Director General Ilya Tarasenko said Friday. In flight, a crewmember is held in the seat with a suspension/restraint harness system. The crewmember may be restrained in the seat with the shoulder and waist restraint mechanisms. The seat features stepless height adjustment, which makes the seat occupation comfortable for work and vision. The crewmember protection against the dynamic pressure G-loads at ejection is provided with the protective gear, windblast shield, forced restraint in the seat, seat stabilization as well as the selection of one of three operation modes for the energy source depending on the suited pilot mass. At the aircraft speed exceeding 850 km/h, the MRM steady-state mode is adjusted by the automatics depending on the acceleration. After automatic separation of the pilot from the seat, the recovery parachute canopy is inflated providing the pilot’s safe descent. A portable survival kit, which is separated from the seat together with the pilot, supports his/her vital functions after landing or water landing, makes the pilot search easier, and the ПСН-1 life raft supports the pilot floatation on the surface of water. 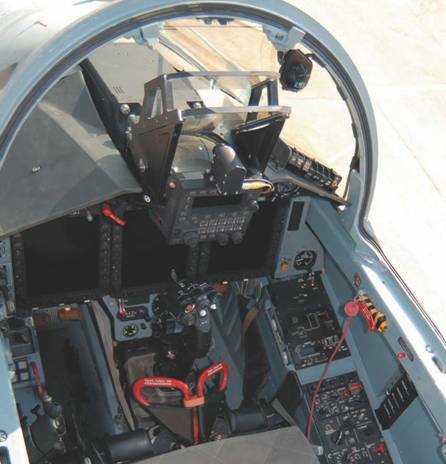 The К-36D-3,5 ejection seat realizes the crewmember emergency escape within the range of equivalent airspeed (VE.) 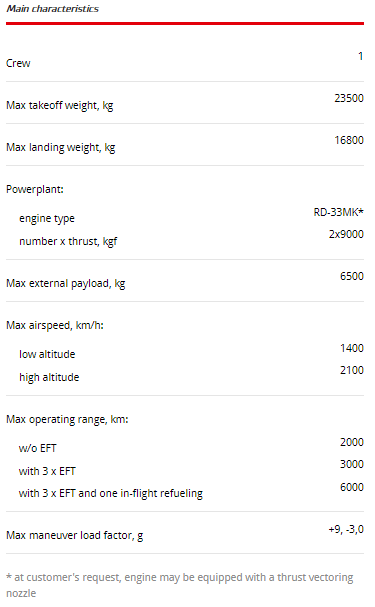 from 0 to 1300 km/h, at Mach number up to 2.5 and aircraft flight altitude from 0 to 20,000 m, including takeoff, landing run and «Н=0, V=0» mode. The seat is used with the KKO-15 set of protective gear and oxygen equipment. The seat installation mass does not exceed 103 kg, including the survival kit. The К-36D-3,5 family features seat modifications for each aircraft version. 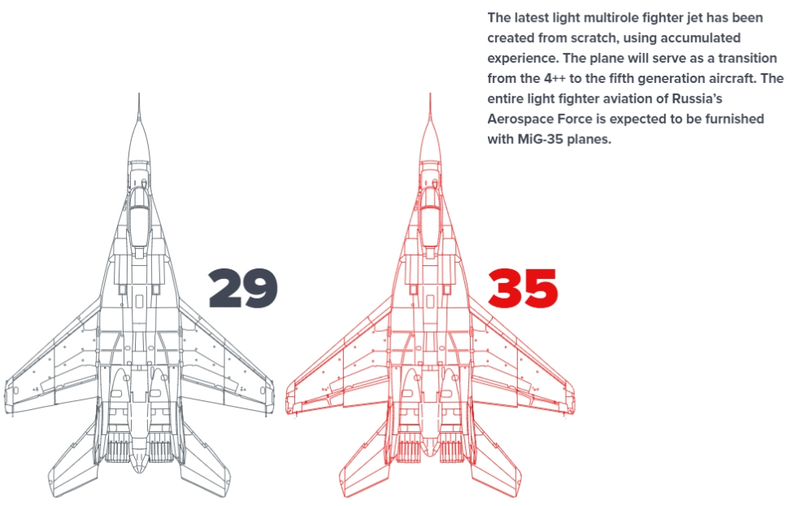 The К-36D-3,5 seats are installed in all versions of the Su-30 aircraft; the К-36D-3,5M seats are installed in the MiG-29M and seaborne МiG-29К/KUB aircraft. The KS -129 oxygen system is designed to provide one or two pilots of the front-line aircraft with oxygen during flights at the altitudes up to 20 km. (KS -130 oxygen system is used at the altitudes up to 12 km). The oxygen source is the BKDU -130 onboard oxygen-generating system, which produces oxygen from compressed air tapped from the aircraft gas turbine compressor. The system features less line maintenance man-hours than the system with the bottle oxygen source. 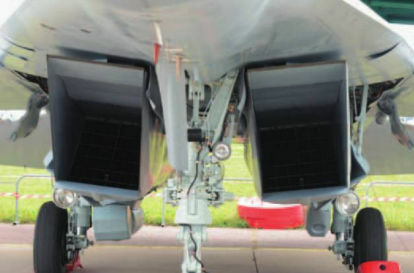 The Radioelectronic Technologies Concern (KRET) of Rostec State Corporation presented an active phased antenna array radar Zhuk-AME designed for multipurpose MiG-35 fighter jets, the press service of the company said. In 2016 aerospace exhibition, held in Zhunhai Phazotron unvield a new AESA radar named Zhuk-AM/AME which is likely further evolution of FGA-35(3d) and renamed as Zhuk-AM/AME. According to Janes, the Zhuk-AME can track up to 30 targets and can simultaneously attack up to six aerial targets and has detection range up to 260 km and detection and tracking up to 160 km. The source added that the new radar weighs about 100 kg. СОЛО, станция обнаружения лазерного облучения. Установлены два модуля в левой и правой законцовках крыльев, что обеспечивает практически круговой обзор. Дальность обнаружения источника лазерного облучения – 30 км. Вес – 800 гр. Translated by google SOLO station detection laser irradiation. Installed two modules in the left and right wing tips, which provides almost all-round visibility. Detection range of the laser irradiation source – 30 km. Weight – 800 grams. • formation of signs of threat. The BINS-SP2 architecture is based on three laser gyroscopes and three quartz accelerometers. The system can establish the platform’s coordinates and motion variables in the absence of external data inputs. The system was developed by Moscow Institute of Electromechanics and Automatics, a subsidiary of Radioelectronic Technologies. General director Alexey Kuznetsov says the BINS-SP2 can operate at temperatures between –60° and +60° C, and at altitudes up to 25 km. “All works under adaptation of our system to the Russia’s newest warplane successfully ended; as for today, BINS-SP-2 has passed the trials”, he said. The system will not only improve performance of the jets but make them capable to land on decks of aircraft-carrying ships, added the interviewee. 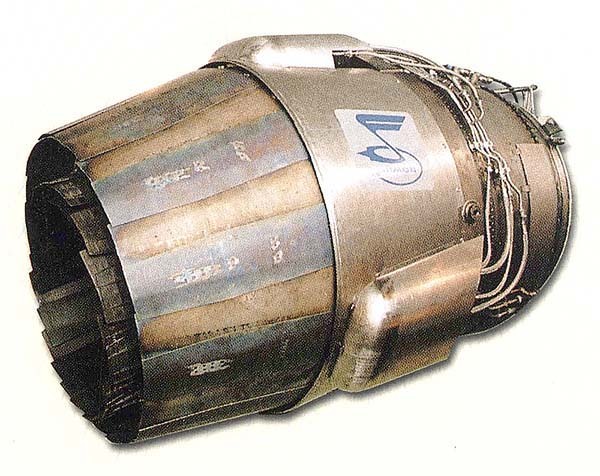 4 – high pressure gas turbine; 5 – low pressure gas turbine; 6 – mixer; 7 – diffuser afterburner chamber; 8 – The extension pipe; 9 – všerežimová supersonic exhaust nozzle. 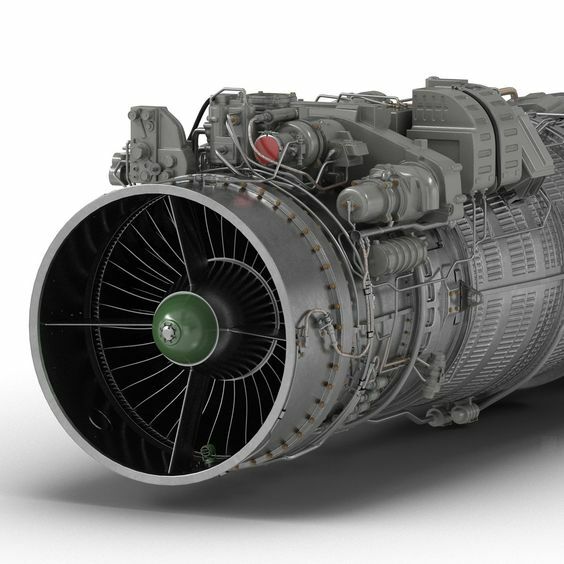 The GTDE is a turboshaft engine with a free turbine, has a modular design, with the turbocompressor module being one-shaft with centrifugal compressor and one-stage turbine. The reduction gear of the power turbine is executed according to the two-stage multi-flow scheme. The purpose is to provide the independent pre-flight aircraft preparation without starting the main engines and their subsequent startup. Delivery shaft starter power 98 h.p. Delivery shaft power unit power 70 h.p. Starter rotation frequency of delivery shaft 4540 r.p.m. Power unit rotation frequency of delivery shaft 2500 r.p.m. Turbocompressor rotation frequency 60750 r.p.m. AAG are complicated multifunctional complexes equipped by gas turbine engines-power units, AC and DC generators, plunger and centrifugal pumps. 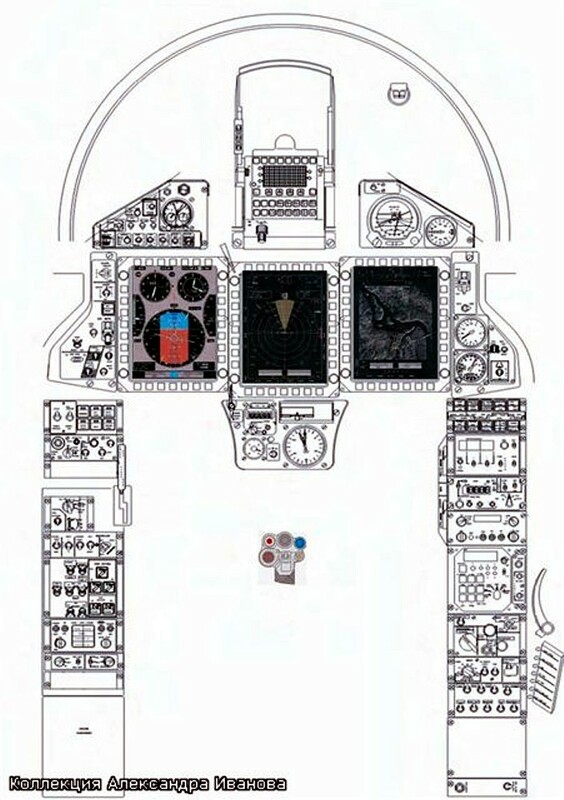 The purpose is to provide the start-up of the main engines and functioning of all electric, hydraulic and fuel aircraft systems in the air and on the earth. AAG KSA-2/3/4 are designed for installation on various modifications of MiG-29 fighters and are used for two RD-33 engines simultaneously, which has allowed to reduce the drive transmission weight for aircraft accessory and start-up, with high reliability requirements being secured. The Gryazev-Shipunov GSh-30 (ГШ-30) is a family of autocannons used on certain Russian military aircraft. The GSh-30-1 (also known as “GSh-301”) is the standard cannon armament of most modern Russian fighters including the Yak-141 Freestyle, MiG-29 Fulcrum, Su-27 Flanker and its’ various derivatives. The GSh-30-2 is carried by the Sukhoi Su-25 Frogfoot ground attack plane and in external gun pods. The GSh-30-2K is a modified version with 2400mm long water-cooled barrels and variable rate of fire. It is used on a fixed mounting on Mi-24P Hind-F helicopters. Medium-range missiles R-27 (e), designed to intercept and destroy aircraft and helicopters of all types of unmanned aerial vehicles and cruise missiles in a dogfight at medium and long distances, with individual and group actions carrier aircraft, day and night, in simple and adverse weather conditions, from any direction, against the background of the earth and the sea, with active information, firing and maneuvering countering enemy. 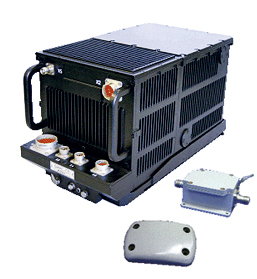 Available in several versions, differing use of two types of homing – semi-active radar (PARGS) and heat – and two types of propulsion systems – with standard and increased installed power. Modifications PARGS are designated R-27R and R-27ER, with TGS – R-27T, R-27ET, with propulsion of increased energy available – R-27ER and R-27ET. Main material rocket design titanium alloy, a steel motor housing . For the suspension to the carrier aircraft and launch weight of both modifications missiles used the same launchers rail and catapult type. 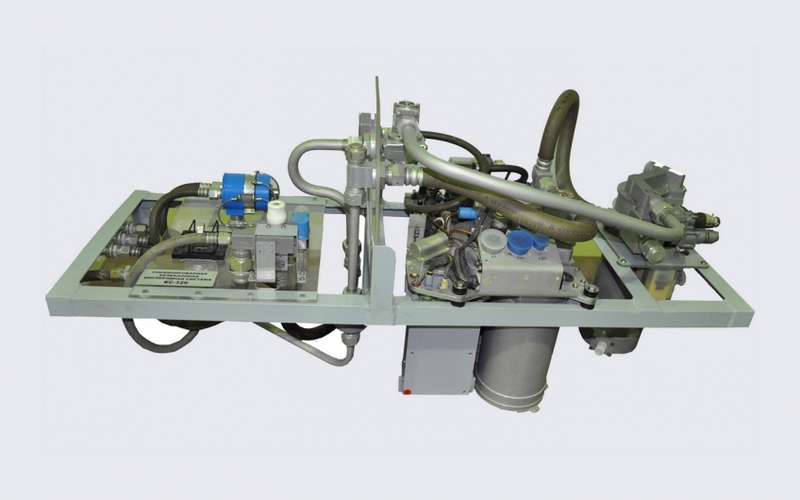 he rail trigger APU-470 is used for the deployment of missiles under the wings of the aircraft, and the ejection device AKU-470 for the deployment of missiles under the fuselage and under the wings. The Molniya (now Vympel) R-60 (NATO reporting name: AA-8’Aphid’) is a short-range lightweight infrared homing air-to-air missile designed for use by Soviet fighter aircraft. It has been widely exported, and remains in service with the CIS and many other nations. Currently the R-73 is the best Russian short range air-to-air missile. 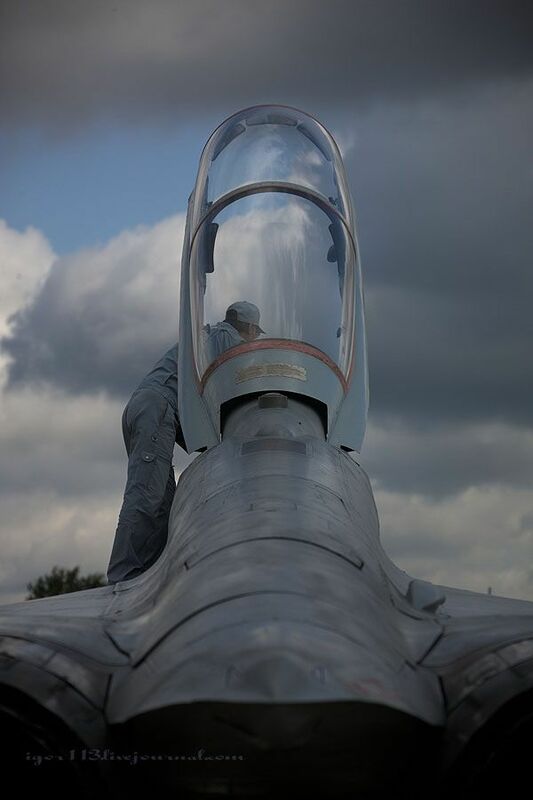 Apart from an exceptional maneverability, this missile is also directly connected to the pilot’s helmet, which allows engagement of targets lateral to the aircraft, which cannot be engaged by missiles with a traditional system of targeting and guidance. The R-73A, an earlier variant of this missile, has a 30 km range, while the most recent R-73M can hit targets at a distance of 40 km. The missile is used for engaging modern and future fighters, attack aircraft, bombers, helicopters, drones and cruise missiles, including those executing a maneuver with a g-force up to 12. It permits the platform to intercept a target from any direction, under any weather conditions, day or night, in the presence of natural interference and deliberate jamming. It realizes the “fire and forget” principle. The missile design features a canard aerodynamic configuration: control surfaces are positioned ahead of the wing at a distance from the center of mass. 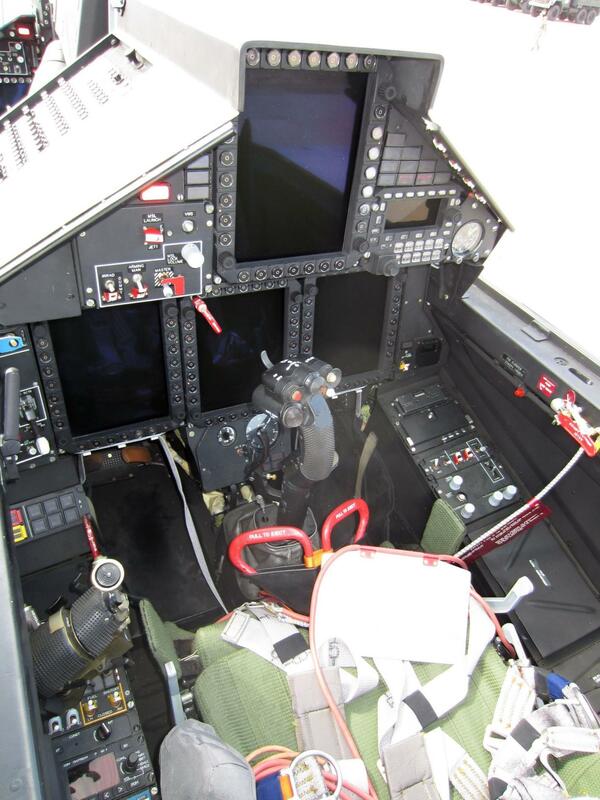 The airframe consists of modular compartments accommodating the homing head, aerodynamic control surface drive system, autopilot, proximity fuze, warhead, engine, gas-dynamic control system and aileron drive system. The lifting surfaces have a small aspect ratio. Strakes are mounted ahead of the aerodynamic control surfaces. 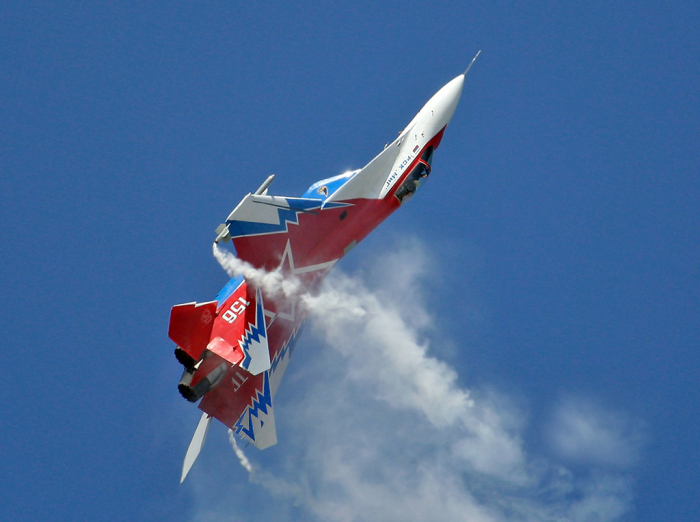 The combined aero-gas-dynamic control gives the R-73 highly maneuverable flight characteristics. During flight, yaw and pitch are controlled by four aerodynamic control surfaces connected in pairs and by just as many gas-dynamic spoilers (fins) installed at the nozzle end of the engine. Control with engine not operating is provided by aerodynamic control surfaces. Roll stabilization of the missile is maintained with the help of four mechanically interconnected ailerons mounted on the wings. Drives of all missile controls are gas, powered from a solid-propellant gas generator. 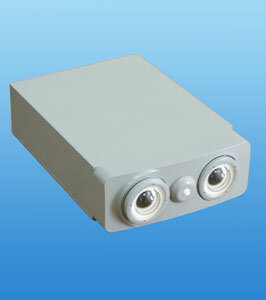 The passive infrared homing head supports target lock-on before launch. Guidance to the predicted position is by the proportional navigation method. The missile’s combat equipment consists of an active proximity (radar or laser) fuze and impact fuze and a continuous-rod warhead. 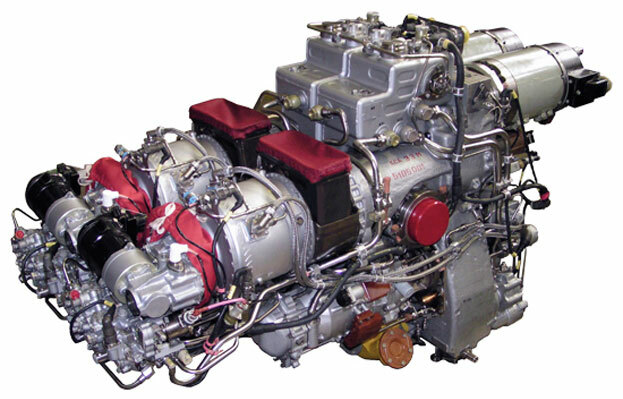 The engine operates on high-impulse solid propellant and has a high-tensile steel case. Russia’s Vympel weapons designers have developed a one-of-a-kind air-to-air missile, which NATO has dubbed as AA-11, for use on foreign fighter planes. Techically and militarily the new missile, meant for quick-action dogfights, leave its foreign analogues far behind. 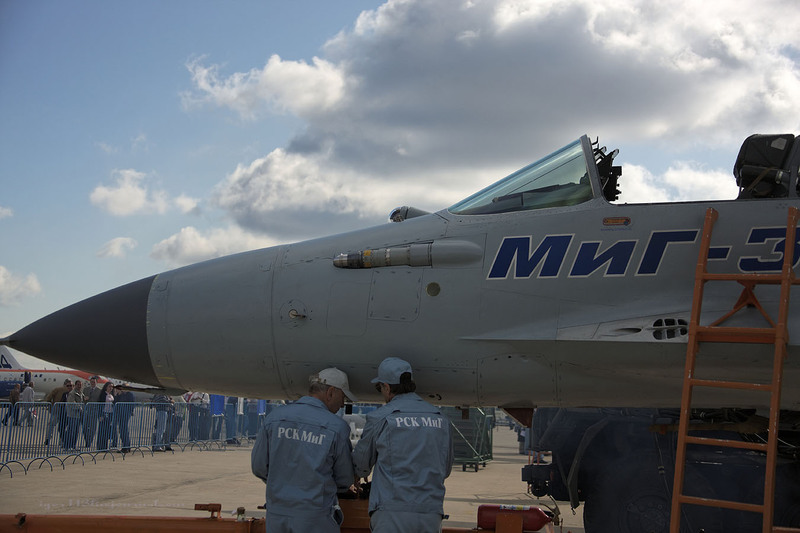 Vympel experts have also made it possible for the new missile to be easily installed on all available types of aircraft. The AA-11 can also be used on older planes which will now be able to effectively handle the US’ highly maneuverable F-15 and F-16 jets. The AA-11 missile is based on all-new components, use new high-energy solid fuel and an advanced guidance and control system which has made it possible to minimize their size. Their exceptionally high accuracy is ensured by the missile’s main secret, the so-called transverse control engine, which rules out misses during the final approach trajectory. The transverse control engine is still without parallel in the world. Russia has offered the export-version R-7EE air-to-air missile system for sale so that it can be fitted to foreign-made fighter aircraft. Developed by the Vympel state-sector engineering and design bureau, the R-7EE is designed for close-quarters aerial combat. Vympel specialists have developed a way of ensuring that the missile system can be fitted to virtually any type of aircraft. 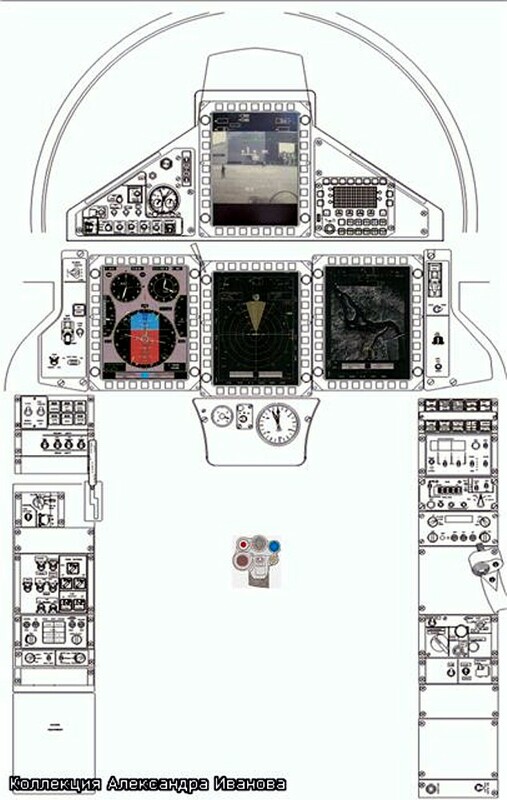 It can be fitted to older aircraft, which feature heavily in third-world countries’ air forces. The R-77, RVV-AE designation used for the export market and AA-12 Adder designation used by Western intelligence, is an extended medium range air-to-air missile featuring an active radar seeker to engage multiple airborne targets simultaneously. This missile was designed as the Soviet/Russian counterpart to the United States Air Force AIM-120 AMRAAM. 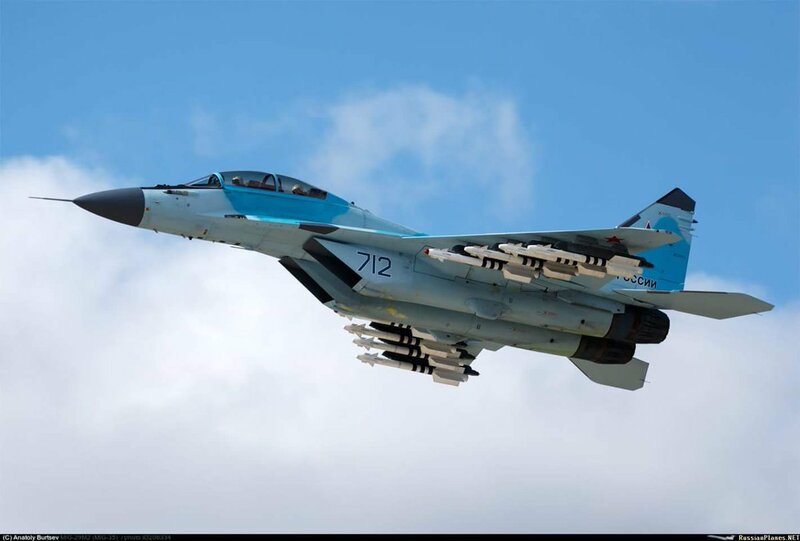 The R-77 enables the Mig-29 and Su-27 fighter aircraft families to engage multiple airborne threats simultaneously thanks to its fire and forget capability. 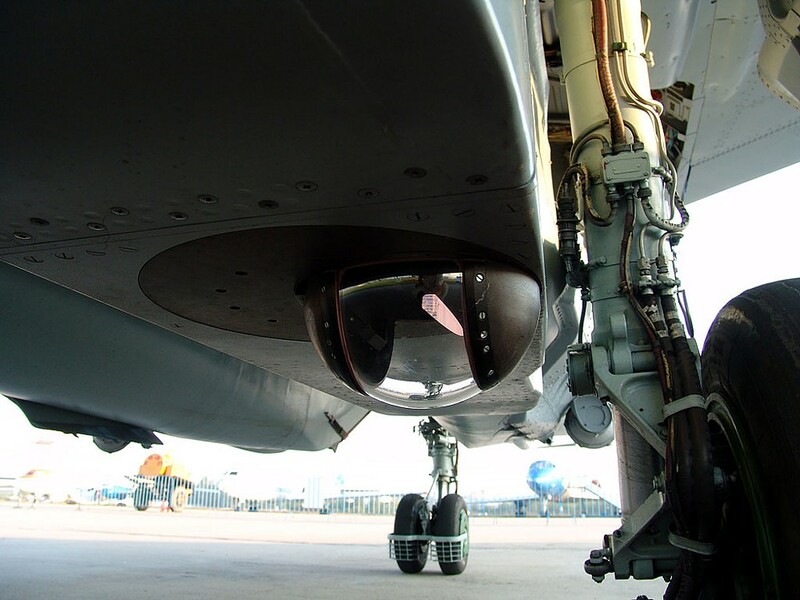 There are other versions fitted with infrared and passive radar seekers instead of active radar homing. Future plans call for increasing the missile range well beyond 150 kilometers. The R-77 has been designed with innovative control surfaces which are one of the keys of its impressive performance. Once launched, the R-77 depends on an inertial navigation system with optional in-flight target position updates from the aircraft sensors. When the R-77 missile is at a distance of about 20 km its radar homing head activates leading the missile to its target. 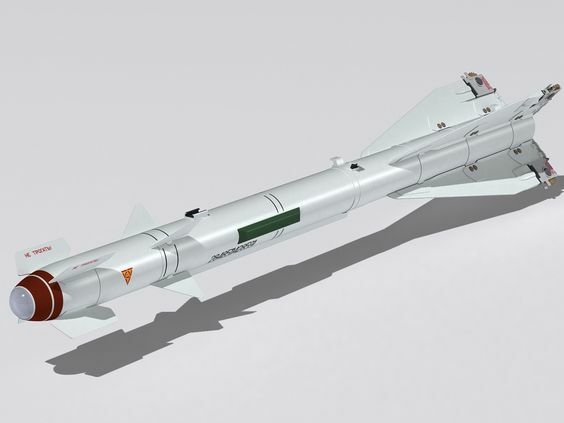 Kh-31AD airborne anti-ship guided missile is designed for hitting combat (assault landing) surface ships and cargo ships from the striking force (convoys) and single ships. This particular missile has a warhead power increased to 15% in compare with its prototype Kh-31A. Launch range is increased up to 120-160 km almost in two times. Kh-31PD airborne high speed anti-radar missile is designed to hit radars of anti-aircraft missile stations (ZRK). Missile ground maintenance is provided by the OKA-E-1 aircraft guided weapons (AUSP) preparation system. 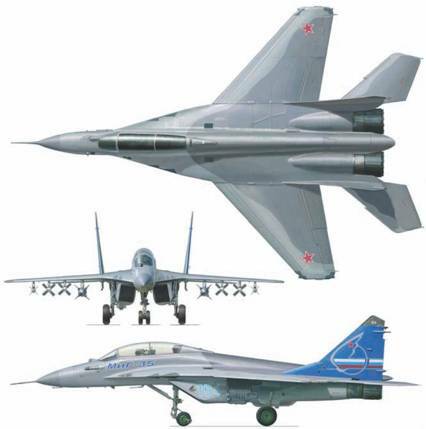 Su-35, Mig-29, Mig-35, Mig-29KUB and etc. The Vympel Kh-29 / AS-14 Kedge is a Russian supersonic equivalent to the French AS.30 and US AGM-65 Maverick, and is primarily intended for interdiction and close air support, maritime strike roles, and attacks on hardened concrete shelters and structures. 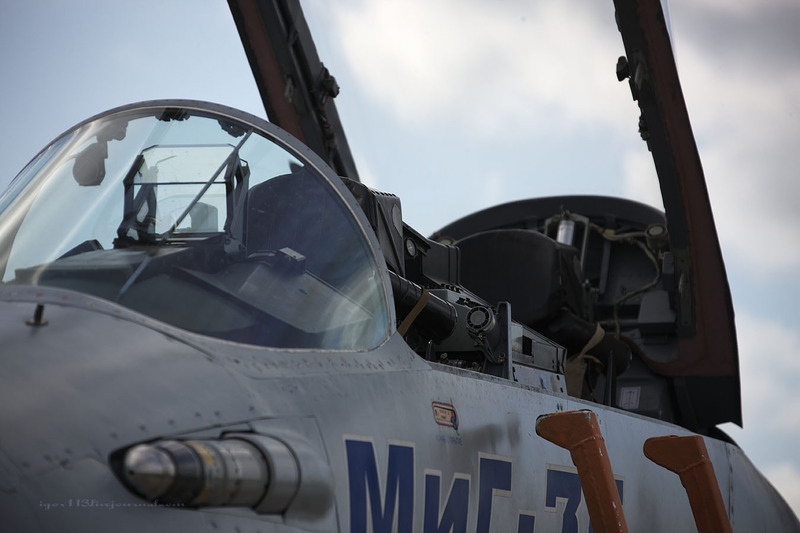 An APU-58 or AKU-58 launcher is used, on the Su-27/30 Flanker (up to 6 rounds), the MiG-27 Flogger (2 rounds), Su-17/22 Fitter (2 rounds) and Su-24M Fencer (3 round). Multiple variants exist. The Kh-29T (Izdeliye 64 or AS-14B) is an electro-optical variant with a daylitgh television seeker. The Kh-29TE is the export variant, the Kh-29TM an enhanced variant. The Kh-29TD is another EO variant, possibly equipped with a thermal imaging seeker. The KAB-500Kr corrected air bomb is designed to engage stationary ground/surface small-sized hardened targets, such as reinforced concrete shelters, runways, railway and highway bridges, military industrial installations, warships, and transport vessels. The KAB-500-OD corrected air bomb is designed to engage ground targets, such as fire emplacements, and manpower hidden in mountainous terrains. 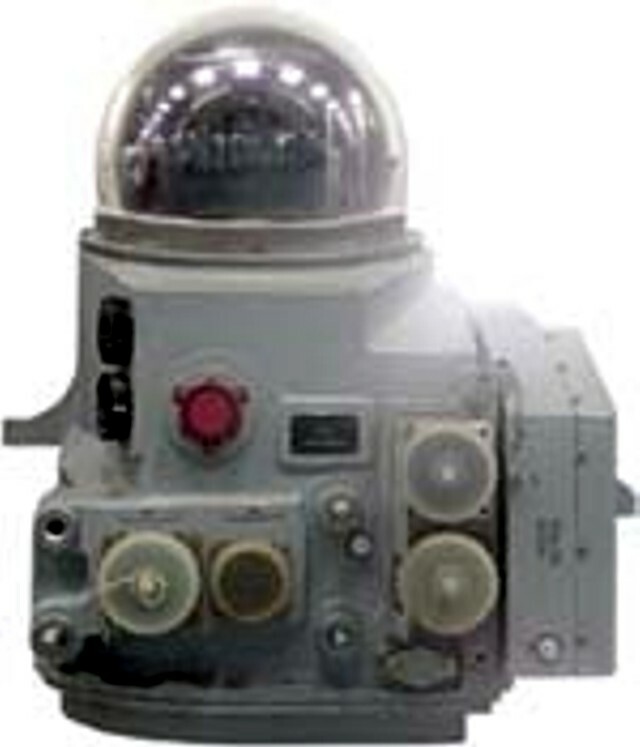 The KAB-500Kr, KAB-500-OD corrected air bombs are fitted with TV/terrain-matching homing heads and various types of warheads. TV homers with target data processing correlation algorithm can “remember” target location and correct bomb’s flight trajectory until the impact on the target, thus realizing the “fire and forget” principle. 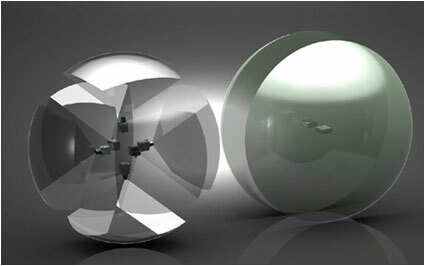 Such homing heads can help defeat low-contrast and masked targets provided that terrain reference points and target coordinates related to them are available. 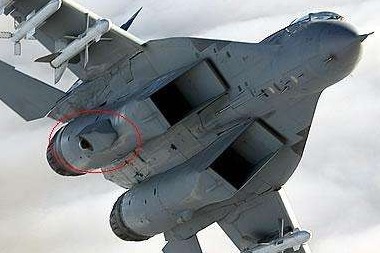 The KAB-500Kr, KAB-500-OD corrected air bombs make part of weapon systems of such front-line aircraft types as Su-27, Su-30, Su-34, Su24M, MIG-29 and others. 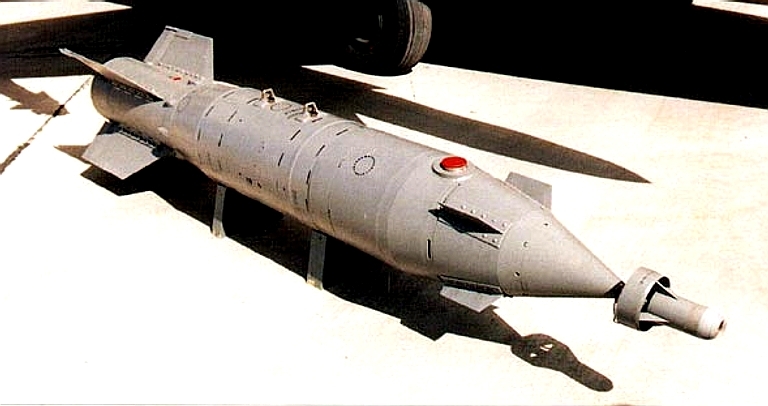 The KAB-500L is the baseline laser semi-active homing 500 kg guided bomb developed for the FA-VVS and widely exported since the end of the Cold War. It achieved IOC in 1979. 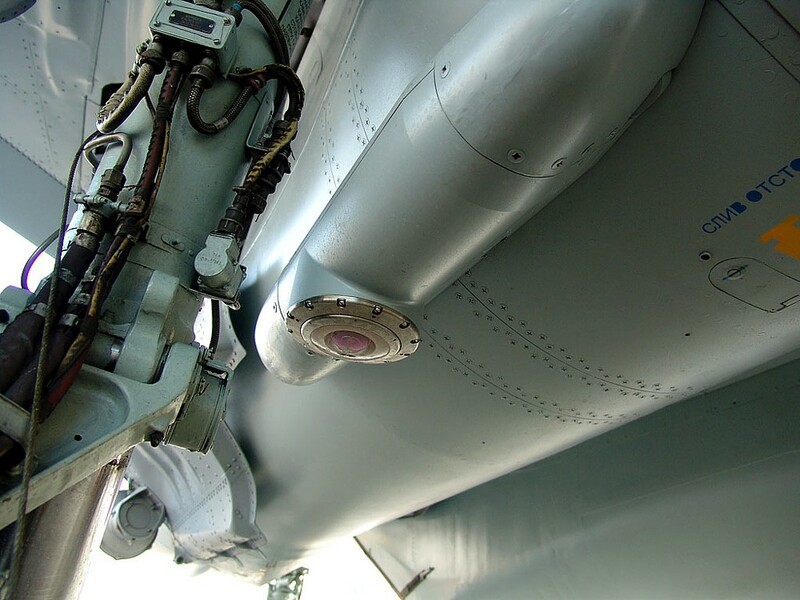 The weapon uses the Azov 27N or later 27N1 semi-active laser homing seeker using an annular airfoil and optical design similar to the Paveway I/II series. It will provide similar characteristics to the baseline Paveway I/II seeker. The cited CEP is 7 to 10 metres which is consistent with this style of seeker and the bang-bang control loop technology involved. Delivery envelope is 1 to 15 km AGL and 550 – 1700 km/h. KAB-500L-Pr-E – Penetrating bunker buster with subclaibre warhead. KAB-500L-F-E – Blast fragmentation warhead equivalent to M118. 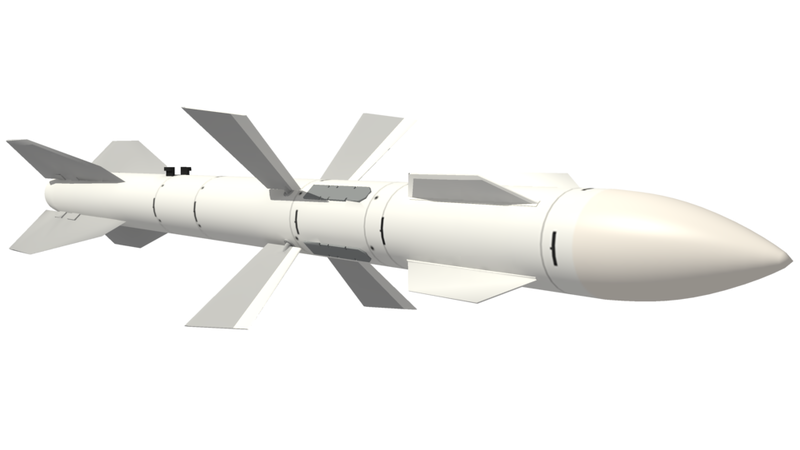 KAB-500L-OD-E – thermobaric warhead / FAE. The S-8 system is the main caliber weapon in the class of unguided aircraft rockets and can solve a variety of aircraft missions. The rocket is provided with a solid propellant motor with a summary thrust pulse of 5,800 N.s and operating time of 0.7 s. Progressive methods for body shaping from ready-made rolled aluminum and unique engineering solutions in terms of separate elements aimed at reducing motor manufacturing labor consumption and costs are used in its construction. 20 x HE Fragmentation Rocket , This rocket is designed to engage personnel, soft and lightly armored targets. 20 x Smoke, This rocket is intended to mark ground targets, routes of movement and landing areas in daytime. High-explosive incendiary bomb aviation OFZAB-500 was established use in high speed with low altitudes against manpower and easily vulnerable field installations, warehouses and fuel depots. 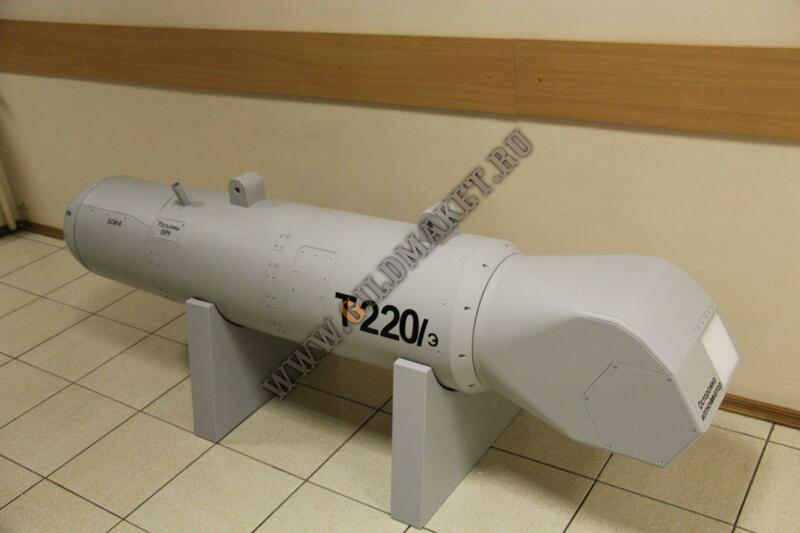 The bomb is intended to replace in the Russian Air Force obsolete FOZAB-500. It is used at altitudes of 300 – 20,000 m at speeds of 100 – 1200 km / h.
OFZAB-500 allows the wearer to carry out maneuvers with large congestion. The bomb can be used on a large number of combat aircraft of Soviet and Russian-made MiG-21, MiG-27, MiG-29, Su-17, Su-22, Su-24, Su-25, Su-27, Tu-95, Tu -16. 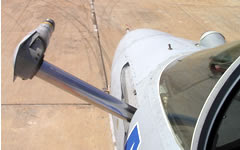 Nozzle assemblies of the GPT-2E (-1, -1M, -1I) type are designed to refuel combat aircraft in flight. The nozzle assemblies feature universal refueling couplings that conform both to the RF and NATO standards. 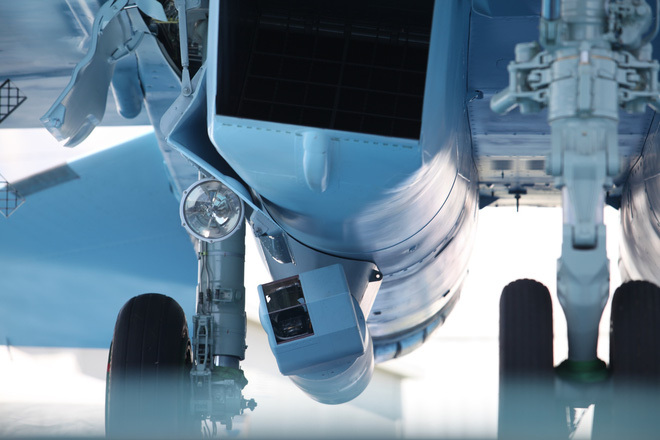 This makes it possible to refuel the aircraft from the tankers equipped with the aerial-refueling pods of both domestic and foreign production. Emergency retraction system for the refueling coupling. 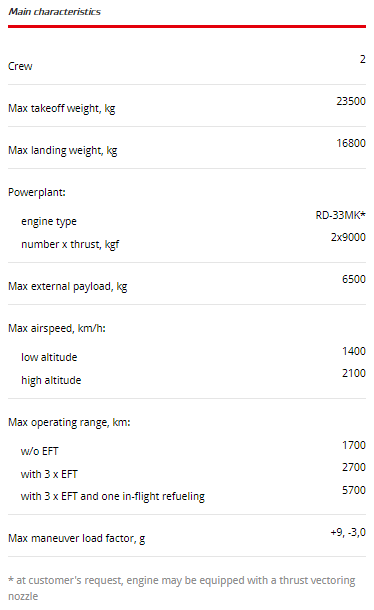 Maximum refueling rate is up to 2500 l/min. MiG-29E, MiG-29МST, MiG-29К/КUB, Su-24, Su-30MKI and Su-35. 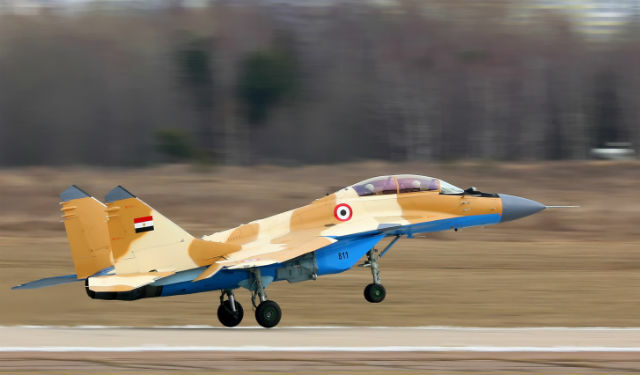 Egypt appears to be close to receiving the first of its RAC MiG-35 fighters, with a lead example having been photographed during flight testing near Moscow late last month. This entry was posted in Uncategorized on October 15, 2015 by nonothai. I don’t think the Philippines can afford 2nd hand F-16’s or F/A-18 C/D with their Current Budget. They might as well look to Russia for MIG-29’s in the Indian Air force configuration or MIG-35’s.The Other option is Mirage 2000’s from France. At least with the Mirage 2000, it would give them something to stand on on. Why not, I see Vietnam looking at buying them and they can convince Thailand and the Philippines, it might be possible as well. The problem is, that the Philippines can’t afford anything NEW from America or Europe. Their only option is 2nd hand or Russia.